A native of Baltimore, Ronnie has been “on the mic” for audiences since elementary school, and has been a host for Pour House Trivia since late 2009. Holding a college degree in Performing Arts, he has been a guitar player for numerous local bands, and proud to proclaim himself as a science fiction geek. He currently resides in Frederick, Maryland. Samantha is five-foot-nothing of bubbly smiles set over a strong, New York tempered core. She has been with PHT long enough to be considered a veteran on the mic but not long enough to be able to pronounce synonymous correctly. As a chronically single young woman she enjoys not so long walks on the beach, old movies, and rowdy trivia crowds. Samantha runs a horse farm during the day (i.e., works on her tan) before heading out to spend her night with some trivia junkies. 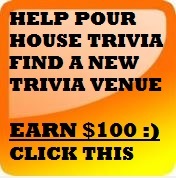 Jon has been hosting for Pour House Trivia since 2013. He is a musician by trade, which is why he is so at ease on the mic when hosting trivia. If you've ever played with Jon as your host, maybe you've realized that he does not quite have the same level of trivia knowledge compared to other members of the Pour House family! However, he is certainly the most entertaining to watch, especially when attempting to pronounce those big words! If you ever want to feel smarter than your host, please come and play at one of his venues sometime. You'll leave the game feeling better about yourself watching him make a fool of himself. You may not have seen Ian during his years of play at Pour House trivia, but odds are you’ve heard him. Ian started playing in 2009, and competed with Quick Pink and the Vine Gang (and yes, for those keeping score, that’s two hosts from one trivia team), which means he’s one of those loud guys yelling odd things and laughing at even odder ones. After several seasons, the hosting bug bit Ian, and he hasn’t looked back. Living in Frederick, Ian still drops in to play when he can, rescuing his parents’ team or jumping in with the old Quick Pink guys. When he’s not working at his full time job or hosting for Pour House, he’s finding something creative to do with his time, or playing board/card/video games with his friends. Scott is currently taking a break from nuclear engineering and cyber security to follow his dreams. He is a Pour House Trivia host, improv artist, app/game developer, and owner of an awesome 10 1/2 year old mutt. Originally hosting at Guidos, he has been tempered by the more boisterous trivia goer and enjoys the obnoxious, overbearing, and sometimes inebriated trivia player that makes hosting enjoyable and often times challenging. In his off times he is a nerd at heart: enjoys programming, performing in his Improv group Ponch, watching the Comedy Pigs at the MET, playing strategic games with other members of Pour House Trivia, and watching the occasional WWE event. You can follow Scott on twitter at PHTScott to hear him bragging about his current venues. Devan joined the Pour House Team in 2016. When he is not hosting or working at his full time job at Frederick's Way Station, he is working on his degree or playing with his trivia team: That's What You Get For Thinking! He is also an avid musician and sports fan, and lends his time as a coach for the Special Olympics in Maryland. A native of rural Oklahoma, Scott has been playing Pour House Trivia with his team, Uncle Jack, since 2012. H e faithfully cheers on his Oklahoma Sooners but has also become accustomed to heartbreak while supporting all of the Washington sports teams, especially the Nationals, since moving to the area in 2007. He enjoys kickball, movies, comic books, video games, concerts and theatre. He is married to Michelle, who is also a PHT player. They reside in Arlington, Virginia with their cat, Pearl. Dave is an actor / director / producer with over 25 years experience in the Washington, DC area. 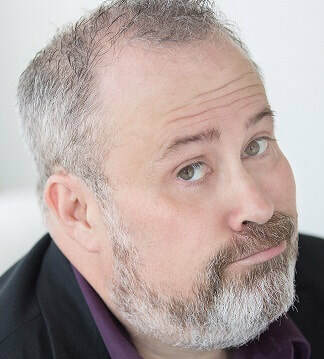 He created the Last Ham Standing comedy improv show in 2003 and has been performing monthly in Northern Virginia since 2008. In addition, Dave is an Aquarius and prefers long walks on the beach as well as baking banana bread. Zach is a life long Northern Virginia native and is very excited to be a host for the trivia company he has spent years playing. A teacher by day, Zach is known for his awkward but lovable personality and his love for anything geeky. He has a background in improv comedy and loves to get a laugh - even at his own expense! In his free time he enjoys video and table-top gaming as well as being an avid WWE fan. He currently resides in Leesburg. ​After a successful tour on Slapsgiving (a five-time PHT World Series championship team), Sean decided to give up the quiz life and seek a simpler path as a college professor and web developer. However, the siren call of endless questions beckoned, and he has now returned as a Pour House Trivia host. A Type-A personality in a Type-B body, Jenn arrived in the DMV a decade ago by way of New Jersey. She is a six-year veteran of hosting trivia. When not DJ'ing yacht rock tunes during quiz, Jenn can be seen at a protest rally, the occasional karaike night, or haunting your dreams. LIKES: cloud shapes, podcasts, coffee. Kristi has been playing trivia with Pour House since 2016 and has recently made the transition to hosting. A self-proclaimed pop culture trivia buff, she can almost always tell you who sings that song, or starred as which character in that movie or TV series without skipping a beat. When she's not working full time at her day care job, hosting or playing trivia, she enjoys hanging out with friends, binging a series on Netflix or Hulu, playing board or card games, and spending as much time with her nephew as possible. Kate is a native Texan (Hook 'Em!) and former high school teacher, but after 12 years of education she realized her pursuit of knowledge was lacking one thing... beer. So, she traded in know-it-all teachers for know-it-all adults. A lover of cheese, wine, tacos, the Muppets, tiny hats, and all thing vintage. She resides in Alexandria wither her trivia geek Air Force husband Steve and her Maltese named Muppy (yes, like the Muppet). Brittany has been around the Pour House Trivia scene for quite a while. She started playing with her brother (and fellow PHT host) Bill and her dad as 'Two Guys, A Girl, and a Pizza Place', later branching off in order to compete against Bill for a PHT World Series title. After winning the second World Series of Trivia, her Actuarial Science degree took her to the sunny state of Florida. When Brittany is not hosting trivia or putting her degree to work, she is most likely playing ice hockey. She is excited to bring PHT to Florida! Originally from London, Batman (a.k.a. Martin) has decided to make America his new home. Engineer by day, video gamer and super criminal hunter by night, Batman is excited to add hosting Pour House Trivia to his repertoire of skills. He has a quirky (and very English) sense of humor, and a love for anything geeky. Batman also spends his spare time raising money for the local Children's Miracle Network Hospital (All Children's) with Extra Life. Go on, as him about it sometime... He currently resides in his Batcave in St. Petersburg, Florida. C.J. is a proud Hoosier who traded in corn and basketball for sunshine and palm trees. She eventually adapted to Florida life, scouting out her favorite beaches, bars, beach bars, and now trivia spot, as the newest member of the PHT team. A lover of all things "nerd", she played every sort of quiz bowl team in school -- including one in Latin and Greek. Apart from trivia and her full-time job as a reporter, C.J. loves traveling anywhere there's a mountain she can climb, rocking out to Springsteen, running slowly, eating large plates of wings while watching college basketball and pro football, and generally making a damn fool of herself. ​Chief is a retired Chief. There's that. He daylights as a consultant and sometimes responds to “beard guy". He speaks three foreign languages, none of which are art, nor The Skill of Raising a Teenager. He’s a California transplant having lived all over the DC/Baltimore metro area for the last eleven years, and is a veteran member of the Wednesday team “Constantly Changing Team Name”. Outspoken. Sometimes, profanely. Who are we kidding? Usually. His wife Megan continues to play with a team of misfit toys. He formerly heckled the team formerly known as “Team Wednesday”. You can follow him on Twitter @pourhouseChief. Austin is a Texas native with an abiding passion for bar trivia, comic books, and the mighty Houston Astros. He is a Navy veteran whose "nucular" skills pay the bills nowadays as an engineer at the NRC. You may recognize Austin from his (one) appearance on Jeopardy! back in March 2015. He lives in Arlington, Texas with his beautiful wife, Therese, and kids, Damian and Reagan.